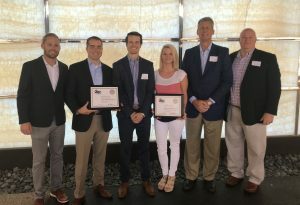 The Associated Builders and Contractors (ABC) of Houston recently honored the winners of their annual safety awards. Recipients of ABC’s 2018 National STEP Award were recognized during a Breakfast Award Cermony on July 13th, 2018, at the University of Houston Hilton Hotel. Summit Industrial was recognized for safety achievements and was awarded the 2018 Platinum STEP Award. 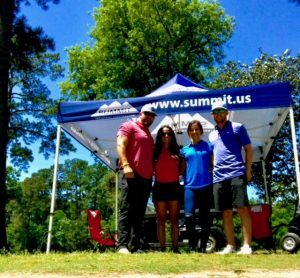 Summit was awarded the Platinum STEP Award in 2015, and Diamond in both 2017 and 2016. Summit Industrial was awarded the Jones Creek Tank Farm Facility Expansion Project with Enterprise Products. The scope of work includes all civil, structural, mechanical, piping, electrical and instrumentation work associated with 18,000 LF of 14″ and 30″ piping, VCU Equipment, two (2) booster pumps, PEC buildings, and associated tie-ins. The project entails all construction work required to install new facilities associated with a new 600,000 BARREL Tank at Jones Creek Tank Farm Facility located in Jones Creek, TX. The project consists of the installation of all civil scope components and critical heavy equipment installation for the Oak Grove TXP3 Civil Installation Project. Project is for the expansion of the existing Oak Grove facility in Marshall County, West Virginia with the addition of a new 200MMscfd Exterran skid mounted turbo-expander facility (TXP3). The Oak Grove Plant is a brown field location with several active complimentary gas processing facilities on site. These existing facilities/BOP items include a slug catcher, two (2) DeEthanizers, two (2) Stabilizers, a Turbo Expander, and a process flare. Summit is currently constructing the Oak Grove TXP2 Facility. Summit was awarded Enterprise Product’s iBOL Purification Project. The scope of work includes Detailed Engineering, Procurement, and Construction services for the installation of all civil, piping, mechanical, and electrical work associated with the iBOL Purification Upgrade Shutdown/Turnaround project. The work is to be completed during a planned shutdown at the facility. Summit was awarded Enterprise Product’s ECHO Seaway Booster Station Project. The scope of work includes all Detailed Engineering, Procurement and Construction required to install two (2) booter pump stations and associated deep foundations, civil, mechanical, and electrical at the ECHO terminal storage facility located in Houston, TX. Summit was awarded Enterprise Product’s Ethylene Export Installation project at the Morgan’s Point Facility. The project entails the installation of critical piping upgrades for the facility with the scope of work to include fast tracked procurement and intallation of piping system to allow Operation to re-route product. 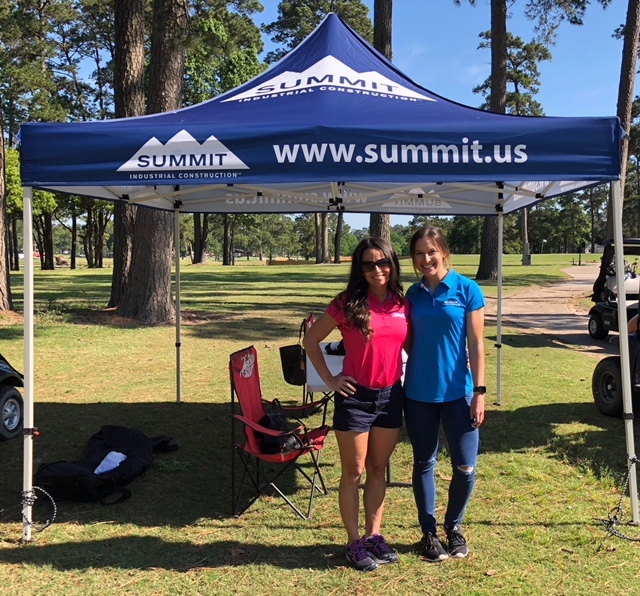 Summit was awarded the complete Detailed Design, Engineering and Procurement support for three (3) new Y-Grade Mainline Pump Stations along the Grand Prix Pipeline system throughout Texas. Summit Industrial offers full multi-disciplinary engineering & detailed design services with extensive experience in the midstream, downstream and power market sectors. Summit Industrial was recently awarded the OMBS Flare Relocation Project from ONEOK Partners LP. This project involves Summit preparing a detailed engineering and design package for replacing and relocating an existing flare system at the ONEOK Mont Belvieu facility. Summit is responsible for creating construction documents for all disciplines on the project and will be the owners rep. throughout construction. Scope includes sizing/relocating new and existing equipment, foundation design, pipe routing, procurement support, and design of the control system for the new flare. This is an important milestone for Summit as this is our first project with ONEOK and has great potential for recurring engineering work as well as construction opportunities. 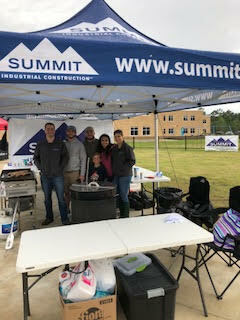 Summit Industrial was honored to be the primary food sponsor at the Groves Oak Elementary carnival this year. The Summit Team prepared a big batch of pastalaya! All proceeds were donated to the school. The event is held to raise money for the school and was greatly supported by local businesses. 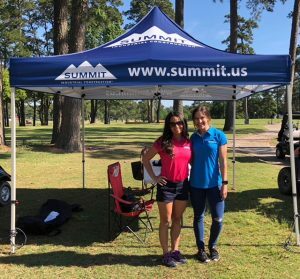 The events ranged from an auction with items from the Rockets, Astros, Cowboys and Texans to over 50 booths with local vendors. There were lots of activities for the kids to enjoy including inflatables, a petting zoo, bungee jumping to name a few.